It’s great to have Collingwood FC superstar Mason Cox as our guest speaker. Luckman catering will be putting on a great spread, as always. Tickets $80 per head. Get in touch with Pilch to secure your spot today. The boys had a solid hit out against Ferntree Gully, with all the 3 sides winning. The under 19’s and seniors ran out winners, while the reserves came up just short. We are pleased to announce the appointment of our Senior Women’s Coach - Dean Barton-Smith. Dean has been the Under 18 Girls Coach (Division 1) for two seasons and also Interleague Assistant Coach for under 15 girls last season (which we were successful in the finals) providing coaching support to then Head Coach Sean Buncle. Dean is also an accredited coach for athletics and cricket having recently been Victorian Coach of cricket at a national championships, he also been assigned as Team Mentor for some teams including national teams. Dean is a former decathlete who competed in the 1992 Summer Olympics. He also won medals at the Deaflympics in 1989, 1993 and 2005. Dean holds a world record in Decathlon and also represented Australia at the Commonwealth Games in 1990 and 1994. 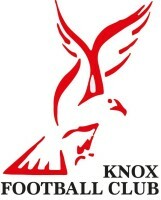 Knox Football Netball Club now has their own Smartphone App. It'll keep you up-to-date with your favourite team's news, events, schedules and much more. 2. Log in. Then search for Knox Football Netball Club and request access to group(s) that apply to you. If you don’t have a smartphone, reply to this email so you can be added manually and you'll receive email notifications. these pages are being updated regularily.